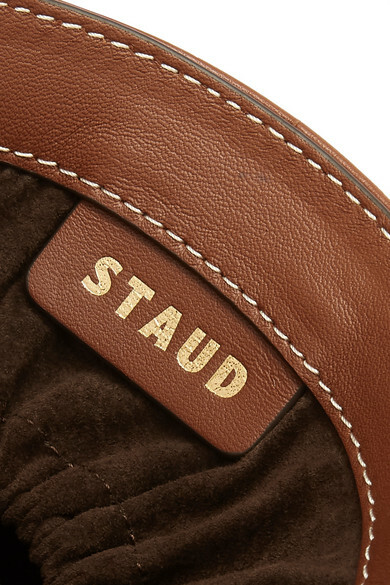 STAUD's 'Keaton' bag could easily be mistaken for a piece of art if it was left resting it on a coffee table. 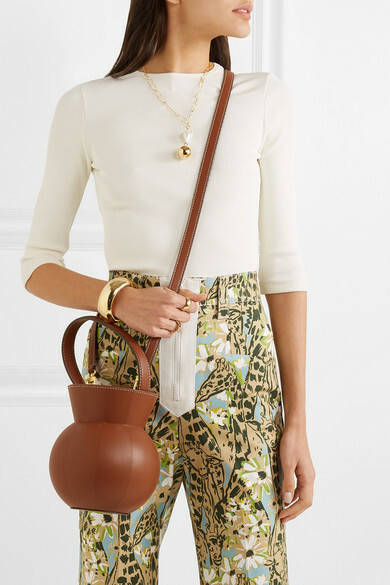 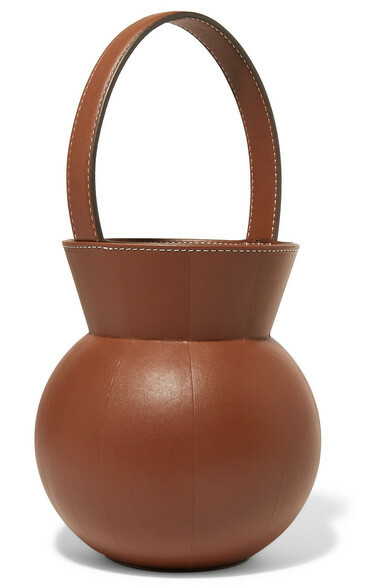 Sculpted from leather in a structured lantern-inspired shape, this style has a chic top handle and drawstring closure to keep essentials safe. 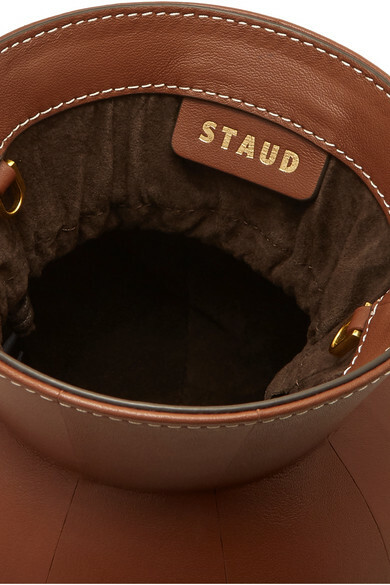 Attach the longer strap to go hands-free. 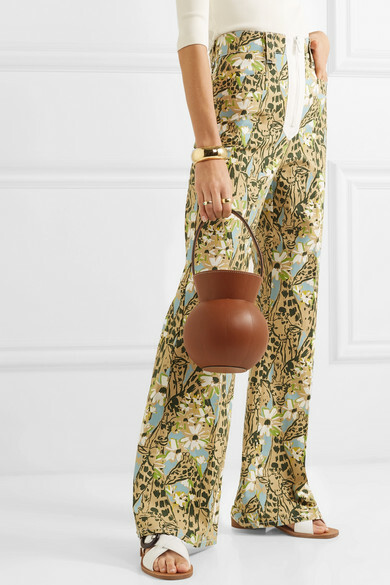 Shown here with: Miu Miu Jeans, Goldsign Top, Prada Sandals, Laura Lombardi Ring, Kenneth Jay Lane Bracelet, Alighieri Necklace, Paola Vilas Ring.